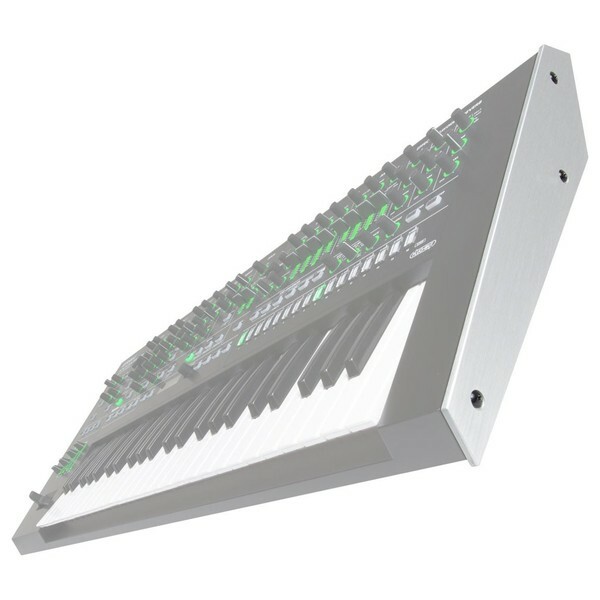 The Roland Side Panel for System-8, Aluminium is a high-quality replacement side panel designed for the Roland System-8 synthesizer. The premium-quality side panels are constructed from brushed aluminium and come sold as a pair for both sides of your System-8. The easy to install panels, will conveniently fix onto the side of the synthesizer, adding a sleek and stylish aesthetic to your System-8 synthesizer.